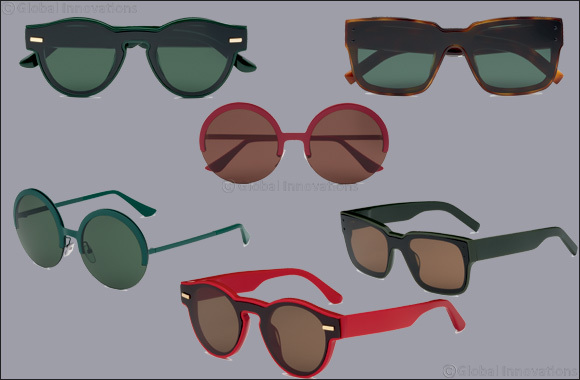 MARNI Eyewear Collection - Inspired by a vintage style, enhanced by fine materials & refined colors. Dubai, UAE, June 3, 2018: The new Marni eyewear collection is inspired by a sophisticated vintage style, using fluid lines to create stunningly elegant looks. The contemporary vibe is elevated through the use of simple yet bold shaping and enhanced by the finest materials, exclusive detailing and refined colors. ME621S These rectangular acetate men’s sunglasses are modern and simple, with a retro design and customized profile, with metal accents on the frame front. The lenses are fitted flush with the rest of the structure through a delicate manual process. Available in the classic versions of Marni Black, Havana and Green. ME620S This unisex acetate style features different geometric proportions that create a playful contrast between the frame front and the temples. The retro mystique is enhanced by the keyhole bridge and pantos shaping, for an updated aesthetic. Sleek lenses and metal detailing on the corners of the lenses add another level of intrigue. Available in Tortoise, Green and Red. ME103S The “Full Moon” women’s sunglasses stand out from the crowd, with an oversized round frame front and sleek, contrasting metal temples. Metal design details line the top of the lenses, while the frame’s unique stacked construction is highlighted by the thickness of the lenses. Available in Green, Red and Gold.